Salt Lake City is getting ready for Halloween. According to my son and his GF, one of the picks this year is the Fort Douglas Cemetery tour, late the afternoon of October 29, featuring Clem, the fort’s resident ghost. Another way to celebrate Halloween is with a Halloween cocktail. One pick that popped up in my email this year is the Chambord Candy Apple Martini, featuring Chambord® Black Raspberry Liqueur. 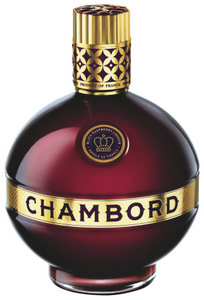 Chambord Liqueur (inspired by the raspberry liqueur produced in the Loire Valley of France 400 years ago, and still made on the grounds of an historic chateau) is an infusion of raspberries and blackberries with the exotic flavors of black raspberries, black currant, Madagascar vanilla and Cognac. Chambord is available in Utah (CS# 064676) for $33. Chambord is an extremely versatile liqueur, doing yeoman service in cocktails like the Chambord Margarita Royale, a delicious variation on the classic Margarita. Click here for all of my Halloween cocktails. Rim a cocktail glass with caramel (for a Halloween effect, use enough that it runs a little, but not so much that it drips off the glass). 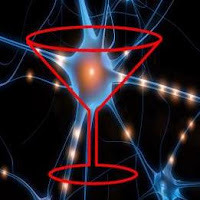 Add ingredients to a mixing glass 2/3 full of ice, stir until well chilled, and strain into the glass. Garnish with an apple slice.